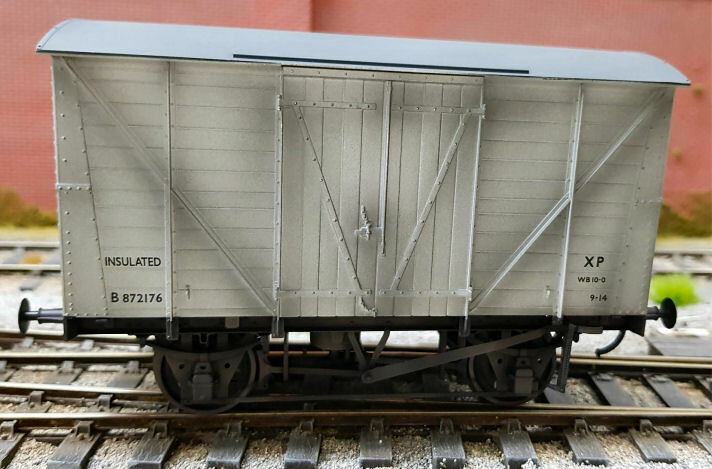 Dapol have been working on a range of BR wagons all base on the 10 foot wheelbase chassis which have now been released but with more vehicles to be released over the next 12 months. As and when we get more information I will update this section. 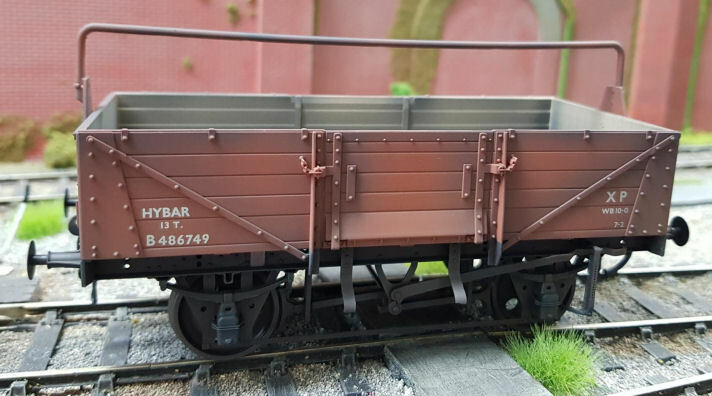 The wagons run nicely, the die-cast chassis providing a rigid, weighty base and we have increased the weight of the coupling hook spring. I have now updated this page to also show some of the weathered examples that have been completed through the workshops. 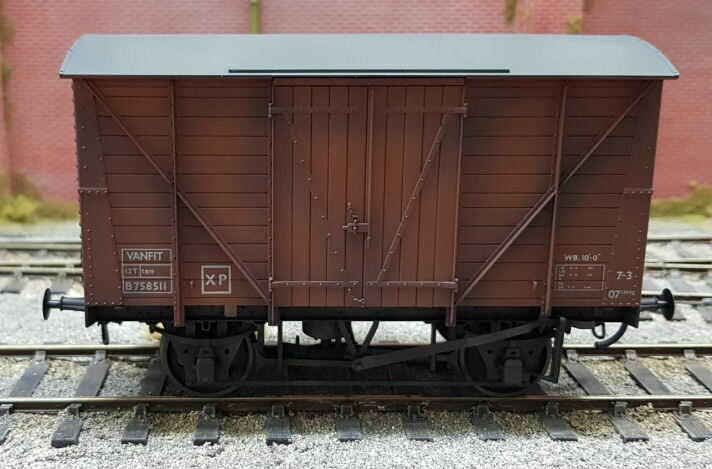 The costs of the weathered examples completed through our workshop is an additional £25.00 each if required with your choice of the degree of weathering. 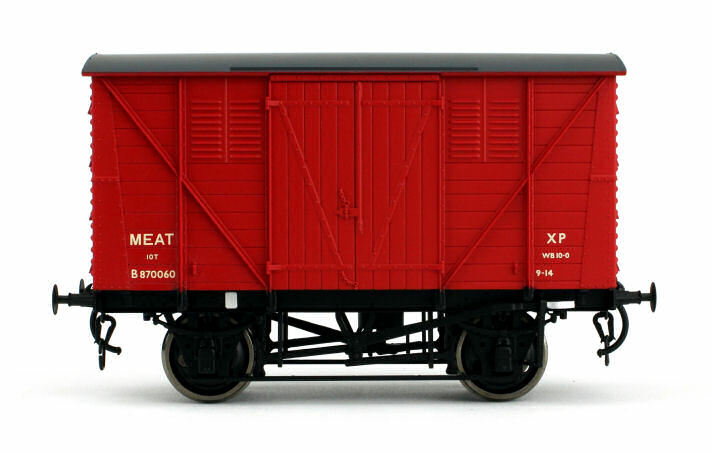 Dapol have now announced a re-run of some of these wagons for release the 4th quarter of 2019 along with the release of the all new Banana Van. We are taking advance orders for these now and as always there is the option of our custom weathering service. To meet the rapid rise in demand for bananas shipped in from the Caribbean, especially constructed steam heated banana vans were manufactured with plywood cladding and insulated bodies that allowed bananas to be shipped in green and ripened en-route. 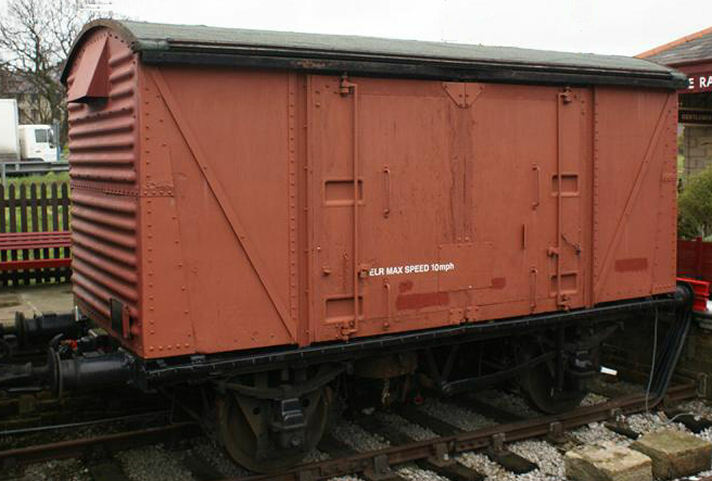 BR allocated two diagrams to the LMS design open merchandise wagon, both with and without a tarpaulin bar, with some having the tarpaulin bar removed in later service. Some were vacuum braked, others were initially unfitted, being converted to vacuum brake in the late 1950s. 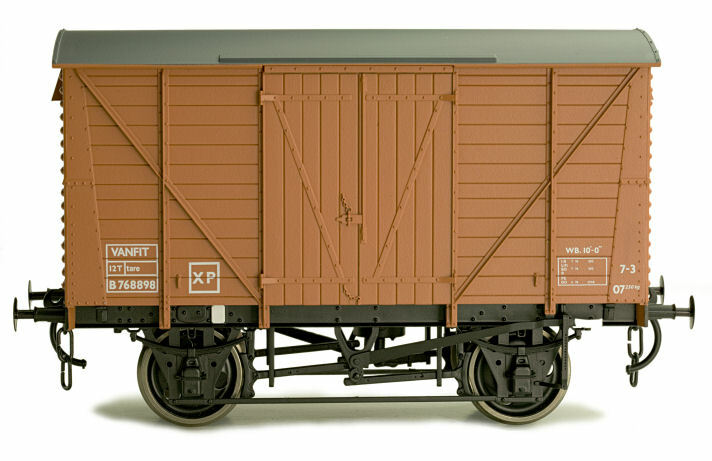 Over 8,000 of Diagram 1/039 and 1/044 wagons, with their characteristic corrugated steel ends, were built throughout the 1950s. Used for a wide range of goods traffic until the 1980s, some had their life extended another decade in the Civil Engineers fleet. 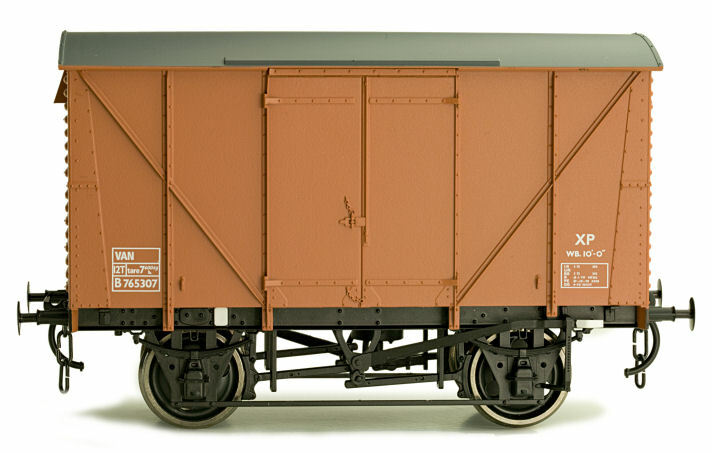 Diagram 1/039 Open Merchandise wagon BR grey numbered #B494780 . 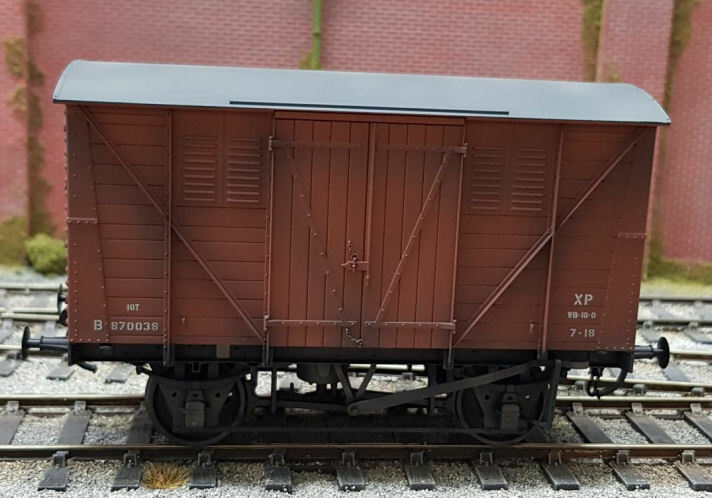 These vans of which over 3,500 were built in the 1950s are similar to the above type but have plywood substituting for timber planks in the body and have an equivalent history lasting into the 1980's. Over 17,000 of these vans were built in the 1950s to carry general merchandise traffic. The design has GWR features but without the characteristic roof profile and has the corrugated ends favoured by the LMS and LNER. Many were in service into the1980s. Standard British Railways van design for carrying chilled meat. 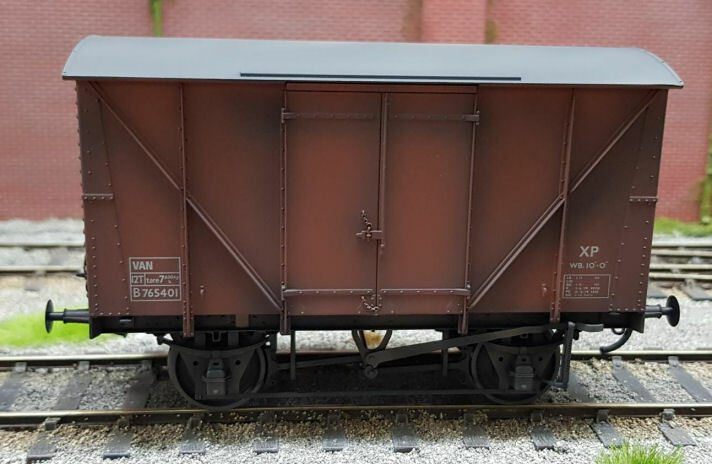 Built in 1953-4 to diagram 1/251, these vans were closely related to the contemporary ventilated van design, but with an internal insulating layer instead of vents. This layer also reduced the carrying capacity from 12 to 10 tons. 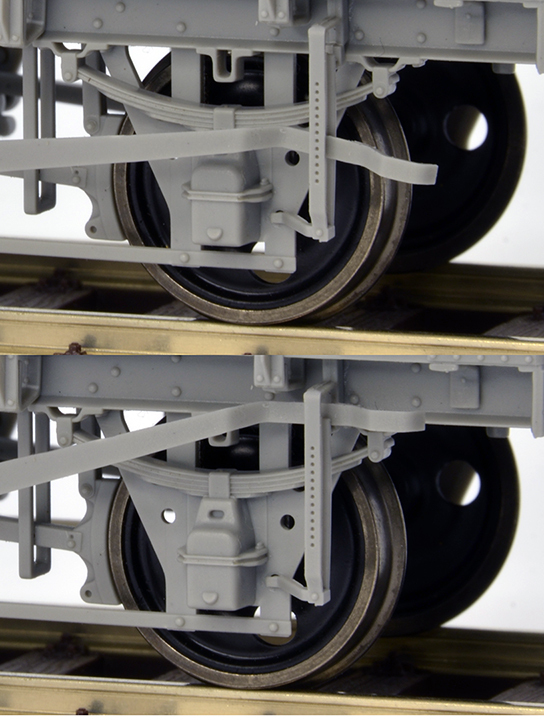 Originally painted white with black underframe, the white was later (after 1964) replaced by ice blue. Some of these vans were later being used for other traffic, such as beer, for which some vans were re-classified as ALE. Most of these vans survived into the 1970s. 250 of these vans were built in 1952/53 for carrying chilled meat. In the 1960s many were used as ordinary goods vans before their eventual withdrawal in the early 1970s. Expected for release late 2019 or 2020, liveries and options to be confirmed.